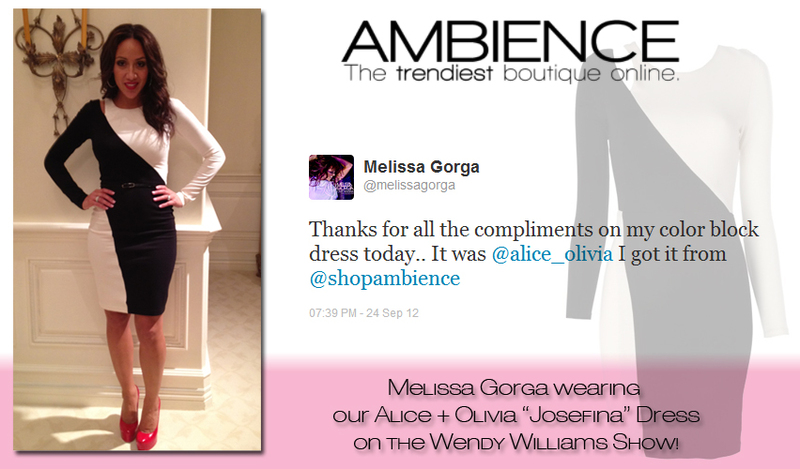 Melissa Gorga gave us a shoutout on Twitter, letting all of her fans know that the awesome black and white dress she wore on the Wendy Williams Show yesterday came from ShopAmbience.com! She was a real stunner in the Alice + Olivia Josefina dress. She knows that whenever she needs the perfect outfit for an event, appearance, or just hanging out, Ambience is her go-to!